Elephant Bar in Phnom Penh in Cambodia is a timeless and elegant bar based in the famous Raffles Hotel Le Royal. Situated in the famous Raffles Hotel Le Royal, Elephant bar plays host to the timeless elegance that was captured from Jackie Kennedy’s visit to Cambodia in 1967. Elephant bar is a beautiful French colonial style bar that captures guests from the moment they step through the door. Big wicker chairs sit around the room, accompanied by leather couches and a large bar in the centre of the room. 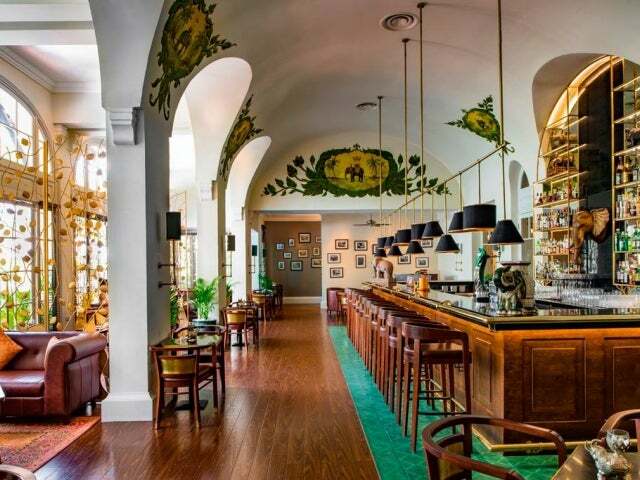 The bar exerts a tropical ‘hunters room’ feel with its long arches and murals on the wall-along with a brass elephant head plaque above the bar. Many love to sit outside on the balcony, which overlooks the beautiful floral beer garden. There is an impressive choice of wines, spirits, beers and cocktails, they also serve Asia’s largest gin selection of over 30 types. While you choose what to order from their well thought out menu at the bar, take the opportunity to enjoy their live lounge piano music and maybe grab a few canapés too. We recommend the flambéed scallops in Whisky! 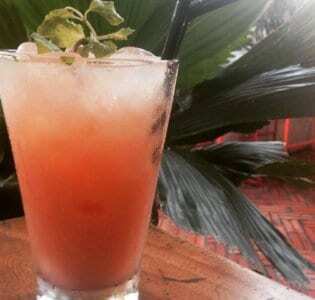 If you fancy a classic cocktail with a twist, go for their ‘gin and tonic’ named “Phnom Neang Korn Rey’ which uses dry gin, imperial tonic, homemade bitters and ‘Ma Orm’ leaves which are foraged from local areas. Top tip: Elephant bar have a decent happy hour that is from 4-8.